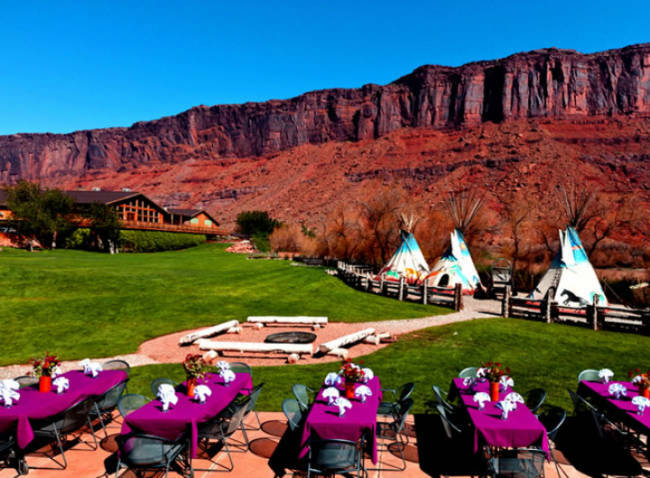 With a stunning backdrop of the dramatic cliffs, the award-winning Red Cliffs Lodge in Utah is situated in an ideal location for those wanting to explore Moab. 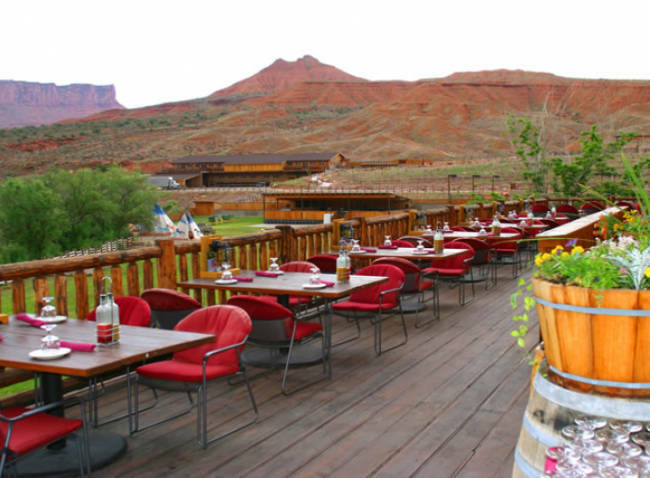 The hotel is just a short 30-minute drive to Arches National Park and about an hour from Canyonlands. 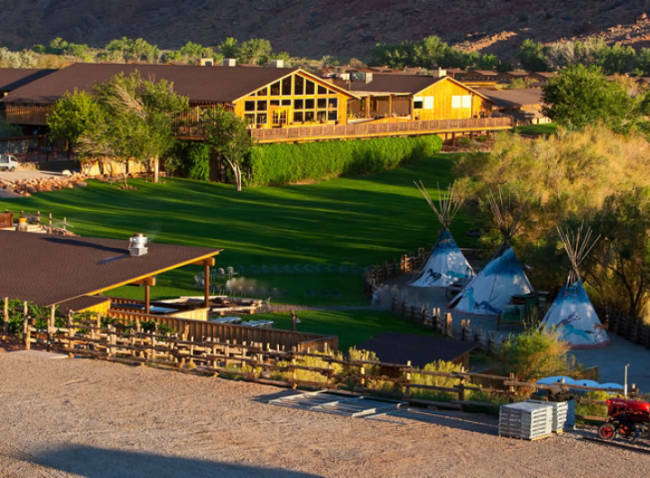 The lodge sits on the banks of the Colorado River, next to some of the river's best whitewater rapids, and has comfortable accommodations. Guests are pampered with a list of amenities that you would expect from a 3-star hotel. 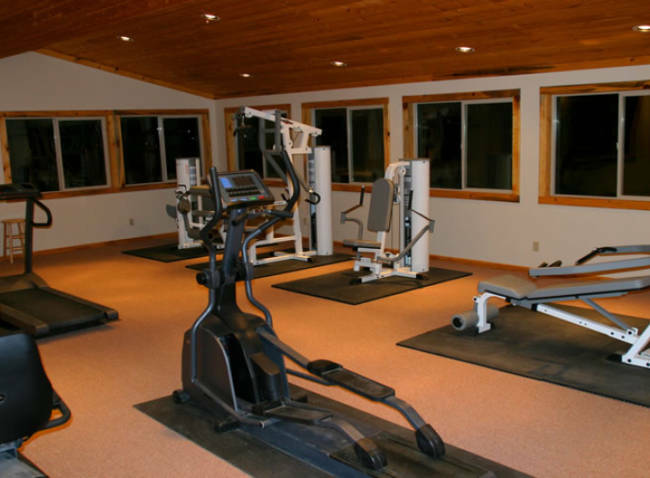 The facility has an exercise room, pool and hot tub, tennis courts, and seasonal horseback riding. Guests can choose from five room types all of which will accommodate either four or six guests. 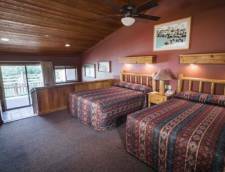 All of the rooms have are a variety of amenities including terry cloth bathrobes, satellite television, and internet. There are also ADA and pet-friendly rooms available upon request when booking. 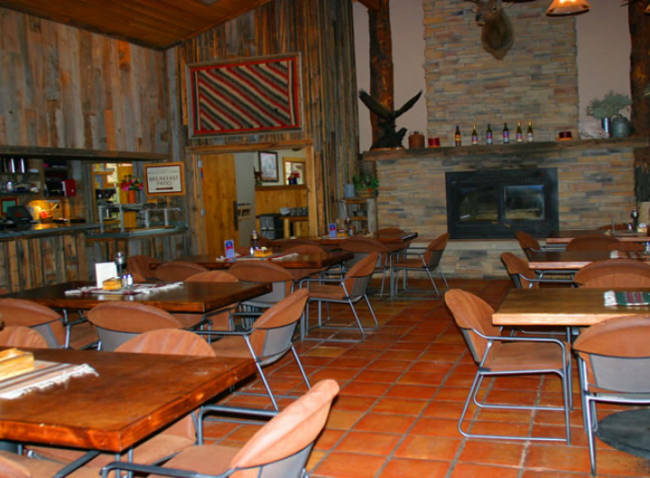 The hotel is home to the Cowboy Grill, a terraced restaurant with river views, that serves up western fare of delicious foods. The restaurant features individual dining, an all you can eat hot breakfast buffet, Sunday brunch, and picnic box lunches. 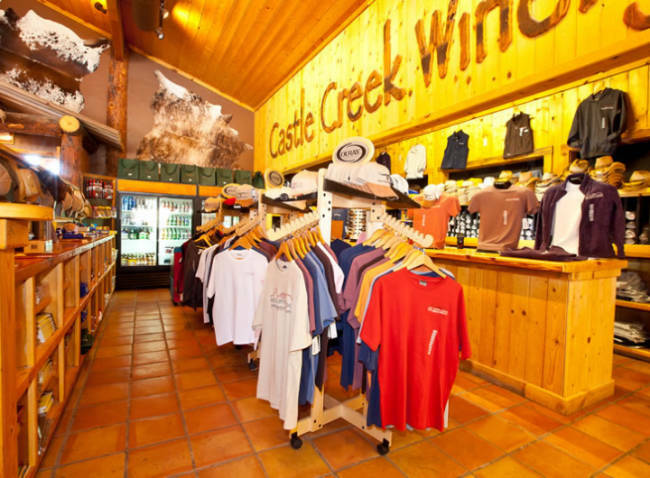 In addition, the lodge is also home to the Moab Movie Museum and the Castle Creek Winery. 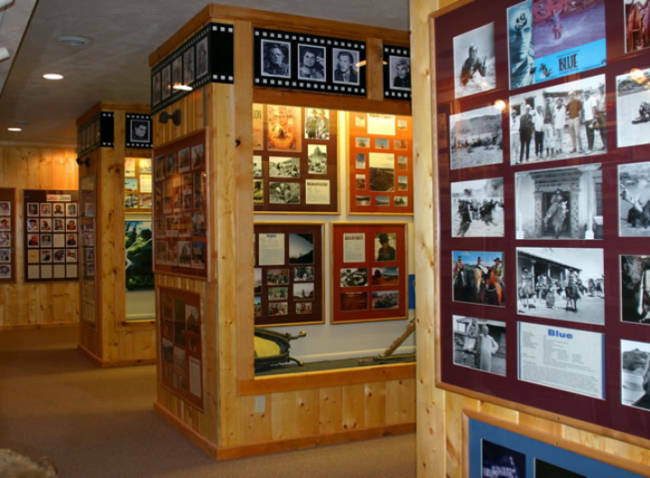 The museum tells the fascinating history of movie making in the area and the winery, which is the largest in Utah, offers seasonal daily wine tastings. The River King Mini Suites come with a king bed and a sofa sleeper to accommodate four comfortably. The suite is decorated in muted stucco palettes of the southwest and has a saltillo-tiled private bathroom, a kitchenette and dining area. 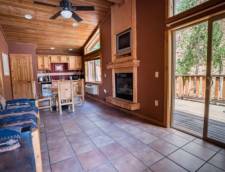 There is a private patio or deck with views of the Colorado River. The Creekside Queen Mini Suites features two queens and a sofa sleeper to accommodate up to six guests. 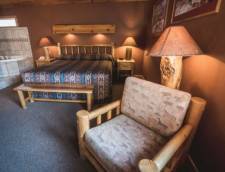 Decorated with knotty pine accents, muted stucco palettes and solid-log furniture, the suite has a separate kitchenette and dining area. The private bathroom is outfitted with Mexican saltillo tiles in both the tub and shower. The suite opens up to a furnished patio that overlooks a creek that runs through the property. The River King Cabins have a large bedroom with a king bed, private whirlpool tub, and a separate bathroom. There is a living room with a gas fireplace, sofa sleeper, dining area and a kitchenette. There are sliding glass doors off of the living room that open to a private deck that has views of the Colorado River. This room can accommodate four guests. 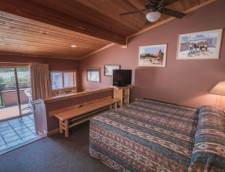 The River Queen Two Bedroom Cabins have two large bedrooms, each with queen bed. There is a full size sofa sleeper in the living room to sleep six comfortably in the suite. The living area has a gas fireplace, television, kitchenette, and dining table. The private bathroom is outfitted with Mexican saltillo tiles in both the tub and shower. The sliding glass doors in the living room open to a private deck that overlooks the rapids of the Colorado River. First night with tax will be charged at the time of booking. 30 day cancellation policy. No refund of deposit if you cancel within the 30 day period. If you cancel outside of the 30 days we will refund the deposit. 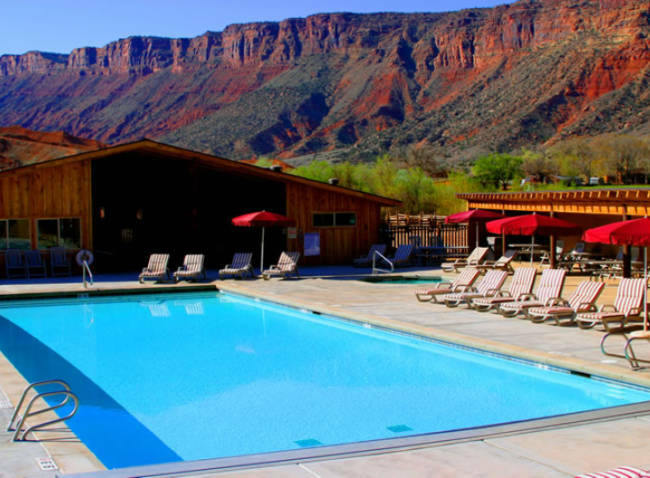 Red Cliffs Lodge has five rooms where pets are permitted. Our pet policy is created so some pets may be allowed at Red Cliffs Lodge, but under strict supervision, so their presence does not create an inconvenience for other guests or staff. Out of 100 rooms, we have five designated for pets. If you are planning to bring your pet, please read this Pet Policy. This policy is created so that some pets may be allowed at Red Cliffs Lodge but only under strict supervision so that their presence does not create any inconvenience for other guests or staff. If you disagree with any provision herein or are otherwise unable to comply with this policy, please do not register with your pet. As a guest registering with a pet at Red Cliffs Lodge, you are requesting your pet be allowed to stay in your room and if permitted, you agree to follow the Red Cliffs Lodge pet policy. Pets are allowed only in designated pet rooms. Dogs and cats will be kept on a leash at all times. Pets are not allowed on grassy areas. Pets must be walked on the trails or in the fields away from buildings and landscaping. Barking or other pet behavior that disturbs or interferes with other guests’ enjoyable stay will require removal of the pet from the Red Cliffs Lodge premise. Pets are not permitted to stay in a guest vehicle. Vehicles with pets inside must be parked in the south parking lot away from other buildings. Pet owners accept full responsibility for the action of their pet including—damages done to the room in which the guest is staying. Guests with pets agree to pay for any and all damage immediately. 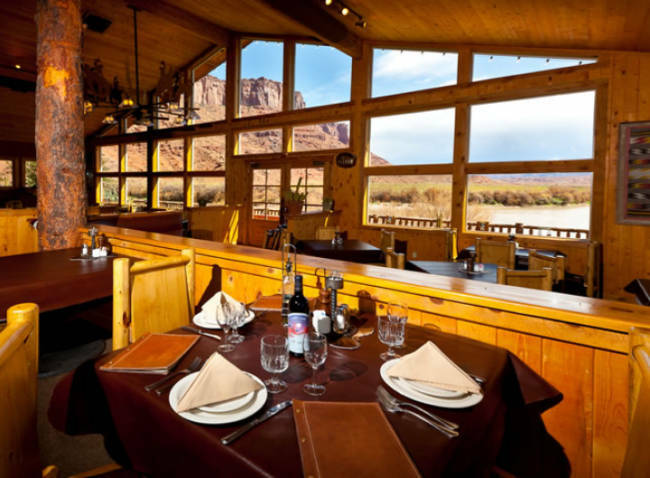 Guest must authorize Red Cliffs Lodge permission to charge their credit card for any damages not paid for before departure. 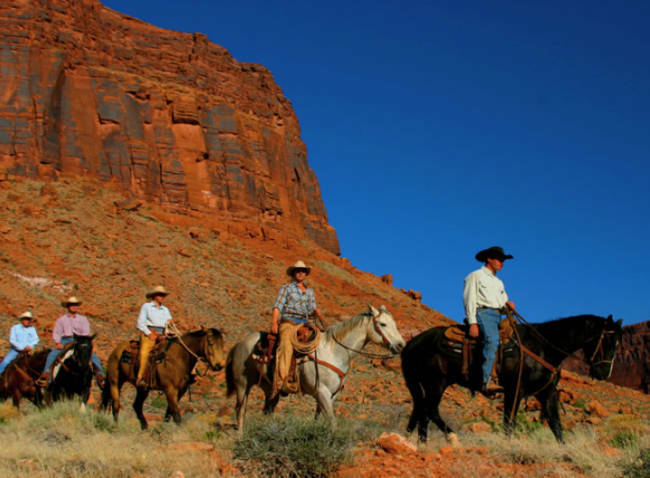 Guests will not leave the pet unattended at any time while staying at the Red Cliffs Lodge. Unattended pets will be removed by the Moab animal control department and placed in the local dog pound at owner’s expense. 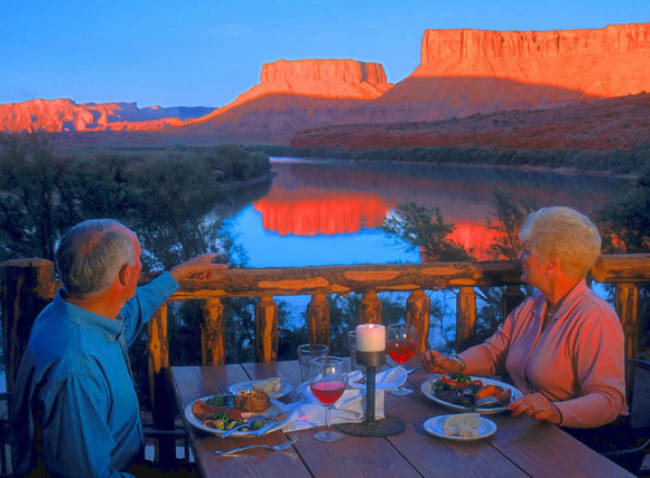 Guest agrees to indemnify and hold harmless the Red Cliffs Lodge from and against any and all losses, claims damages, and liabilities (including attorneys’ fees and expenses), actually or allegedly caused by the actions of my pet. Guest agrees to leave the premises immediately upon request if guest or guest’s pet violates any portion of the pet policy. Guest acknowledges no refund for any part of their registered stay will be issued. Rates Policy: Rates are based on double occupancy. Each additional guest 11 years and up are charged $20.00 per night.